Lancashire’s Police and Crime Commissioner (PCC) says he will give residents “something to show for their investment”, after councillors supported his proposal to increase the police's share of council tax in the county. In a pitch to local authority representatives from across Lancashire, Clive Grunshaw pledged increased investment in neighbourhood policing and a boost to the number of officers available for investigations. Approximately 90 new officer roles will be created in total within the Lancashire force. The PCC also revealed that almost two thirds of more than 4,000 respondents to a survey supported his plan to add £24 to the council tax of a Band D property - with other bands increasing in the same proportion. In Lancashire, the largest number of properties are in Band A - their bills would rise by just over £16. But councillors approved it by just a one-vote margin - and the PCC came under pressure over the distribution of the extra officers and how he planned to fund them. Mr. Grunshaw told a meeting of the Police and Crime Panel - which holds the PCC to account - that Lancashire Constabulary was facing a shortfall in 2019/20 of £5.9m if there was no increase in the so-called precept of the county’s council tax. And the Labour commissioner criticised central government for announcing extra money for police forces across the country - but building a fixed council tax hike into the equation. “I’d prefer [the increase] to be fully funded by the government, but given the opportunity to defend the service, it would be grossly negligent not to do that,” Mr. Grunshaw said. After bridging the funding gap, the PCC will be left with £4.6m to invest in services. The bulk of the money will be spent on a 40-strong neighbourhood policing task force, 30 investigations officers and 20 tactical operations staff to deal with organised and cross-border crime. 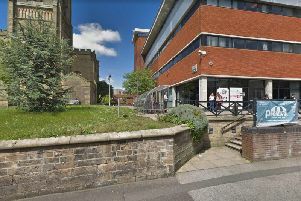 The meeting heard that additional neighbourhood officers would be distributed “evenly” across Lancashire, so that the entire county “could feel the benefit”. That would mean four or five of the extra officers allocated to different areas, often on the basis of two districts clustered together. But some councillors questioned the transparency of the proposal, because of the difficulty in identifying exactly which districts the officers would be serving. And one member dismissed the increased numbers as “a spit in the ocean”, because of previous cuts to community policing. Last year, Lancashire Constabulary permanently redeployed some of its community beat officers to the emergency frontline because of how often they were being diverted from their duties. Lancashire County Council leader, Geoff Driver, said he had “sympathy” with the PCC’s position, but was scathing of the budget proposal. He claimed that a slight change in the way the revenue and capital expenditure had been scheduled could save £1m - and that the rest of the PCC’s priorities should be funded from savings. “You’ve worked out what the £24 [raises], you’ve worked out what the shortfall is without an increase in council tax and then thought, ‘What can I spend [the extra money] on?’” the Conservative leader said, calling for a smaller council tax increase to cover only the budget shortfall. £500,000 has been allocated to an increase in support services which, according to the budget proposal, are vital “to enable operational policing to properly function” - but which drew a mixed response from the panel. In 2019/20, the Lancashire force will receive a government grant of £194m, an increase of two percent on the previous year - the first rise since 2010. That equates to an extra £3.7m, but changes to the way police pension contributions are calculated means that the additional cash is already accounted for before it even arrives. In total, the pension revaluation will cost Lancashire Constabulary £7.1m next year and the government has contributed £3.1m via a special grant. Elsewhere, the PCC has proposed savings in the forthcoming financial year of £3.8m - including a reduction in non-staffing costs. Mr. Grunshaw has also launched a programme of “rationalisation” to make better use of the force headquarters at Hutton in South Ribble. And deputy leader of South Ribble Borough Council, Caroline Moon, told the Commissioner that he could be going further. "I work in an environment delivering high level services and we don't even have a desk anymore. Police stations don't have to be bricks and mortar - we can work differently in 2019," Cllr Moon said. Residents were asked for their views on the Police and Crime Commissioner's plans to increase council tax and how it should be spent. More than 4,600 people responded, including 1,400 contacted by a polling company as a representative sample. Clive Grunshaw defended plans to spend £102m on capital projects over the next five years, more than half of which will be funded by borrowing. “These are not glamour projects, they are things that need to be done,” the PCC said. Lancashire Constabulary has used proceeds of crime cash to buy two new drones - meaning it is no longer reliant on sharing a single device with the county’s fire service. The additional investment will see four operators hired to control them. The Police and Crime Panel heard that the new drones could save the force money on the helicopter which it has to pay for whenever it is called in from neighbouring areas. “We used to have our own helicopter, but then it went regional and we have been using it less and less in Lancashire, PCC Clive Grunshaw said. “It’s not reliable as it can often be diverted elsewhere or isn’t available long enough to do the job. The estimated cost of policing the fracking site in Fylde during 2018/19 has fallen to £5m, compared to £7m twelve months earlier. However, there has been “no indication” from the government about whether it will help cover the cost for the current year, according to the Police and Crime Commissioner’s budget proposal. Last year, the Home Office contributed £1.4m towards what it deemed to be the “additional cost” of extra officers, rather than those who had been redeployed from elsewhere.